I wrote a post on this topic in November last year, but since then a few new free apps have come out that are worth another post, and I’ve revised my thinking on some of the ones I reviewed before. 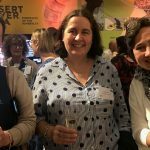 I’d probably leave Phonics Fun, ABC Phonics Animated and BlobbleWriteHD off my Top 10 list these days, and add Bob Books and a couple of the other apps mentioned below. 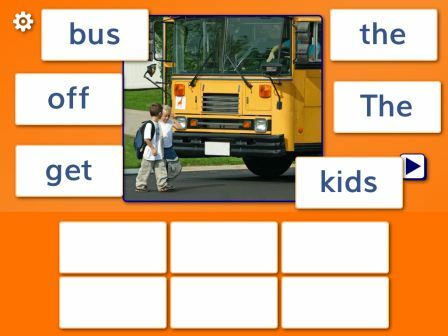 As well as all the ones in my last review, there are now a couple of Preschool University apps which are great for teaching “long” vowels. They’re called Reading Magic 4 and Spelling Magic 4, and like the previous versions there are free, “lite” versions and very affordable (like, 99c) paid ones. 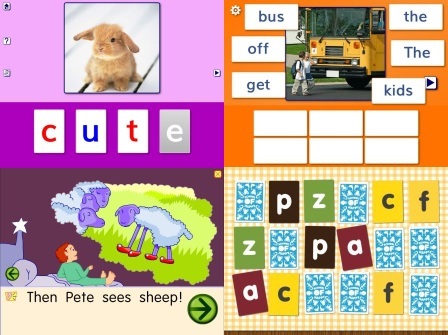 I always ignore the Skill 1 and Skill 2 sections of these Reading apps, and only use the Skill 3 section, because sounds and letters should always be presented TOGETHER for maximum effectiveness (Skills 1 and 2 work on sounds with no letters). 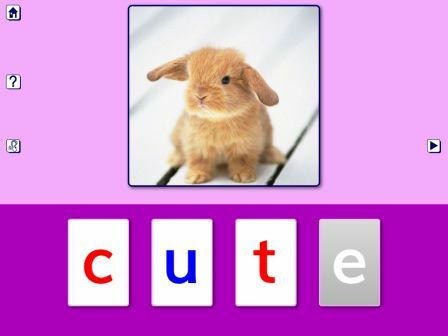 The Reading 4 app Skill 3 presents words like “cute” with an empty picture box, and you can press the letters to hear each sound if you can’t think of the sounds yourself, and then blend them into a word before pressing the picture box to see if you’re right. The thing I really like about this app is that in the word “cute”, when you press the letter “u”, both the “u” and the “e” flash, and the sound you hear is “you”. When you press the “e”, nothing happens – it only works as a two-letter spelling. Same goes for the “a” and “e” in “cake”, the “i” and “e” in “time” and the “o” and “e” in “robe”. Once you’ve taught learners not to press the picture box till they have sounded out the word (which can take a bit of effort!) 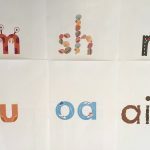 this exercise provides lots of practice reading words with e-controlled vowel spellings, and makes it absolutely clear that they are two-letter spellings like “ch” and “oo”, even though the letters are not right next to each other. The Spelling 4 app does a similar thing – the letter “e” is already at the end of each word and you just add the other letters. Whenever you touch a letter or a box requiring a letter, you hear the relevant sound. The sounds are nice and crisp so that they are easy to blend. Unfortunately these apps are American so they include final “r” as a consonant in words like “blare”, “fire”, “wore” and “lure”, which doesn’t really work in Australian or UK English, so I just skip over these words. Also the word “vase” rhymes with “case” in US English, but with “cars” in the English I speak, so I skip that too. These apps contain some fairly obscure words, like “sate”, “pike”, “spores” and “flume”, but I usually just put these in sentences and briefly explain what they mean. Kids aren’t phased. They are used to learning new words all the time. The sentence is spoken, errors are ignored and when you touch a word, it is read aloud. There are hints and you can track progress and choose from three different fonts (very plain, serif or cursive) and a male or female voice. Unfortunately the cursive font is joined-up writing, which blurs the boundaries between letters for beginners, and it’s a bit swirly for my liking, so I stick with the plainest of the three fonts. The app contains little cartoons which you touch to colour and animate, and then you have to build their names, e.g. the first person is called Mat. 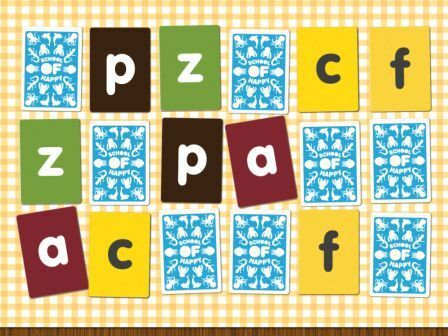 The letters of his name are also greyed out in the boxes into which you have to build it, so this is a simple letter discrimination and matching task. A quiet bleepy error sound doesn’t seem to excite too many kids. The word is then sounded out and put into a little sentence, with an additional colour animation. If you’re working with very young kids, get the free version and try it out for yourself, and I’m pretty sure you’ll soon be wanting to upgrade to the paid version. This app has been around for ages and is mostly useful with little kids, as it’s a bit kiddie for older learners. However it includes lots of basic decodable books and little word-building activities that can help reinforce a synthetic phonics program. Unfortunately it includes a farty noise and “oops” as error messages, which can be more fun than getting the question right, and it often presents rimes rather than working at a single-sound level. But it does segment these rimes at the beginning of these activities. It also includes a few sung spelling “rules” like “when first vowels go a walking, the first one does the talking” and “the silent e at the end of the word makes the a say ay” which I don’t think are helpful, but these are easily ignored. In the little stories it sounds out and highlights each individual sound in most words, though it treats some completely decodable words, like “in”, “this” and “it’s” as whole chunks, when they could be used to reinforce the decoding strategy. So it’s not my absolute favourite, but there are many things to like about this app, including the price tag: $0 (update: as of December 2013 the price is $2.99, still great value). There are, most confusingly, two early literacy apps called Word Wizard. I like the one with the wizard’s hat icon the best, and raved about it in my last free apps review. However the word-building one contains some good stuff for absolute beginners too. Half of it is a movable alphabet, which unfortunately only has 26 single letters, and no digraphs or longer spellings like WriteOn Phonics, but when working with absolute beginners that’s all you need. The nicest thing about it is that it can read out what you’ve spelt using a synthesized voice, unlike WriteOn Phonics, or the fancy new kid on the block that I am yet to find time to try out properly, WordBuilder. 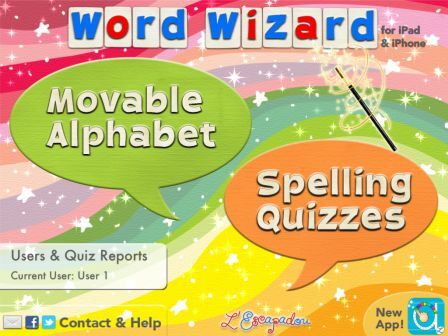 The other part of The Other Word Wizard contains spelling quizzes, most of which are theme-based so I wouldn’t recommend using them. For instance, they put the word “cat” with the word “alligator” and “chimpanzee”, though these are completely different levels of spelling difficulty. 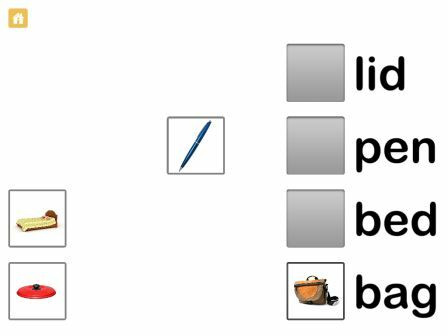 However, the first set of quizzes are simple CVC words, so I’ll be using them with absolute beginners who can cope with having the whole alphabet presented to them at once, rather than a restricted number of spelling choices. Both ABCD and QWERTY layouts of the alphabet are available, so in this day and age it makes sense to use the QWERTY layout, so that learners can start getting the hang of it for the day when they graduate to a real keyboard. (update December 2013: price for this app is now $2.99). These two apps are similar to the Preschool University Reading 1 and Spelling 1 apps, with photos as well as spoken words. 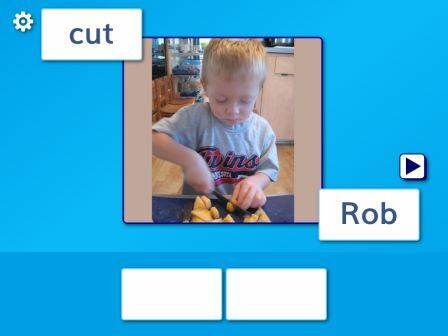 In Little Reader you have to match words and pictures, and the level of difficulty can be set so that you can have as few as two words per page or as many as eight. It’s pretty hard to make mistakes in this activity because you hear the word when you touch either the printed word or the picture. So for kids who are really failure-averse, it’s a winner. 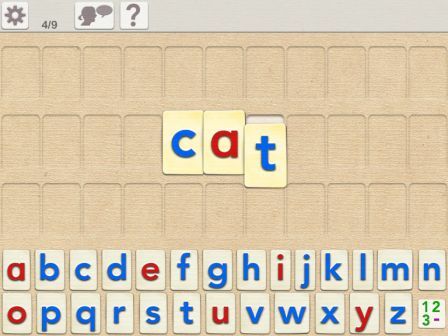 In Little Speller only the letters you need to build each word are on screen. There are boxes for each letter at the bottom of the screen, and when you get a letter in the correct box, there’s a satisfying click like an old typewriter click. Unfortunately there is a “boing” error sound which some learners like better than the click and reward sounds. If you’re working on CVCs with the basic spelling code, you have to go into the controls and turn off the wordlist with non-basic-code words and restrict it to 3-letter words, before letting an absolute beginner loose on this app. Both these apps have a free, “lite” version and a cheap paid version. 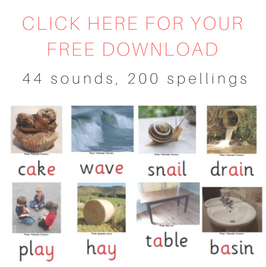 I was hoping that Little Reader and Little Speller – Four-Letter Words would also be usable, but the words contain all kinds of tricky spellings and they are not organised along synthetic phonics lines. So I just keep them on my iPad so I can show people why I don’t suggest getting them. Phonics Bingo has a screen full of single letters and says a sound. When you touch the matching letter, it is replaced by a giggling monster. This continues till eventually you get five monsters in a row, whereupon a catchy tune is played and all the monsters dance, and then you get to pop them. A bit like popping bubble wrap, I don’t know any young kid who doesn’t find this irresistible. Sometimes the sounds can be a bit hard to hear, and this app says “kw” for the single letter “q” (it really should have the letters “qu” since that’s what we write instead of “kw”), but as a quick, simple, fun activity this gets a pretty regular workout on my iPad. (Update December 2013: this app now costs 99c). Funimal Pairs is like an oldfashioned memory game with cards, and I mainly use the letters-and-sounds activity. This has 18 cards, and you turn them over two at a time to match letters. When you turn a card over to show a letter, you hear the sound in high-quality recorded voice. There is a free, lite version and a cheap paid one. 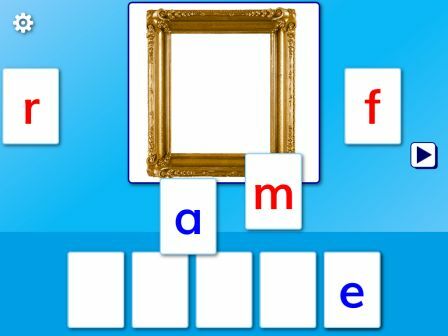 There is also an option to play with just pictures of animals, or to match a letter with an animal starting with that letter (a-antelope, f-flamingo, j-jellyfish), but this is a bit too much like initial phonics rather than synthetic phonics to me, so I don’t generally use these activities. But I guess there could be good reasons to use them e.g. memory work, fun. 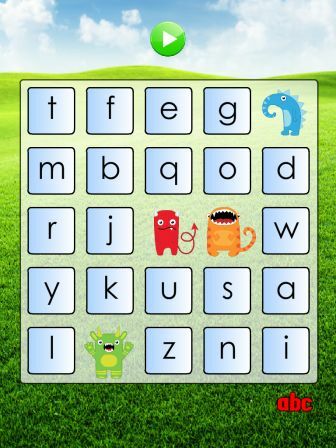 Do you know of any other high-quality, free (or cheap) synthetic phonics apps? 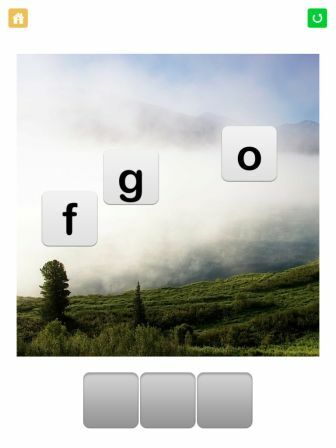 This entry was posted in Fun, phonics activities, phonics games, sound-letter links on August 25, 2013 by alison. 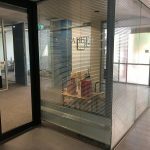 I've just found your blog – it looks like a great source of information. It's hard finding good app reviews. Our elementary class has recently purchased some of the Preschool University apps. I'm wondering why you exclude the sound only exercises in these apps? The preschool university website seems to suggest they have a scientific approach – is there some research in this area you could point me in the direction of. 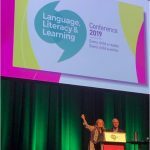 I unfortunately haven’t kept track of which articles I’ve read and workshops I’ve been to where I learnt that working on sounds and letters together is what makes a real difference. 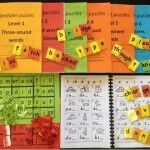 However in the Clackmannanshire study they had three groups – one did synthetic phonics, one did analytic phonics and one did phonological awareness activities (rhyming, syllabification etc) and the synthetic phonics group was well ahead of the other two, and these gains were maintained and increased over time. The phonological-awareness-alone group didn’t make much progress. Professor Diane McGuiness also says working on sounds in isolation is not as effective as sounds and letters together (except I can’t right now give you chapter and verse), and anyway from a theoretical point of view it makes a lot more sense to do the two things together, as the only reason to hear the individual sounds in words is to learn how to read and write. So not having the letters there when you’re learning the sounds seems to me a missed opportunity. I’m sure academics can give you a proper reading list on this, perhaps Tanya Serry at La Trobe, or Ros Neilson in NSW? I must learn to summarise things I read and put them on a spreadsheet or something, so I can refer back to them. It's taken me a few days to digest the information in some of the studies mentioned. It seems that the National Reading Panel 2000 concludes something similar to what you are saying about teaching phonemic awareness with letters. Interpretation of this study does vary though, as it is really comparing Phonemic Awareness instruction without letters, with Phonemic Awareness instruction with letters. Obviously the latter will be better because it is in effect, Phonics instruction( teaching letter/sound correspondence) as well. 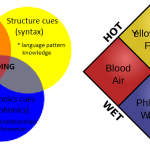 I did find that some academics such as Professor Deslea Konza seem to interpret "the reading research" and suggest that Phonemic Awareness should not be taught beyond Phoneme Isolation without the use of letters. This approach also seems to be more consistent with the writings of Professor McGuiness (at least in her book "why children can't read") where she suggests that children need to learn how to unglue the sounds in a words before learning how those sounds are written. The Clackmannanshire study doesn't seem to have any great conclusions regarding phonemic awareness. The PA + Analytic Phonics group didn't seem to perform any better than the Analytics Phonics groups. IT seems that one explanation, is that the students didn't possess the letter/sound knowledge to translate their PA skills into reading and writing. This doesn't mean that teaching Phonemic Awareness with letters is better better than without – all is means is that you need to teach letter/sound correspondence as well. I must say it is really difficult to reach concrete conclusions from many of these studies, especially when you start reading past the conclusions and see how the studies were done. I''ve sort of formed my own conclusions based on the mish/mash of evidence – however I wouldn't call it a pure evidence based approach. Phoneme Isolation should be taught without letters and maybe apps such as Preschool University are a good at this because they show a button for each sound and the buttons do make the sound when pressed. As soon a students acquire some isolation skills then letters should be introduced and phonemic awareness exercises should no longer be done without letters., ie. it should be taught as part of a synthetic phonics program. So I would agree that it is probably no use doing the "no letter" exercises in the Preschool University level 4 apps but for their first apps those "no letter" exercises are probably a good way of teaching phoneme isolation, especially for younger students. Hi Jay, I’ve been thinking about your comment today while working with a couple of five-year-olds who are just starting to “get” that words are made of sounds and that letters represent them. 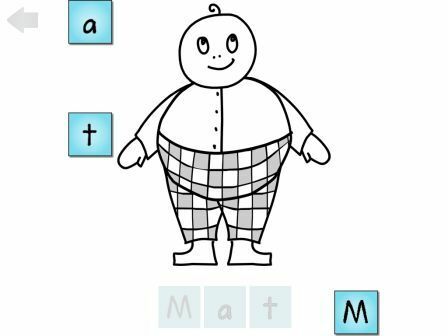 I’ve been trying to get them to sound out little words in the first Sounds Write and Little Learners Love Literacy readers, make little words with letter tiles and use simple apps. They can’t put it all together yet but if I say two sounds (i-n, o-n, u-p etc) while showing them a word with two letters, they are starting to be able to blend them into words, and they can pull the first sound off some words plus find a few letters if I (or the ipad) say the relevant sound. So I guess at this very very early level it is a little academic whether children can see the letters or not when working on blending, if all their cognitive resources are taken up with managing the sounds task and they are not really attending to the letters. I’m from a profession that has historically often been guilty of making school-aged children work on part-word stuff like syllable clapping and rhyming in the absence of letters, not at the phoneme level with letters, as the evidence so overwhelmingly supports, so I guess I’m keen to promote the latter and steer clear of the former.